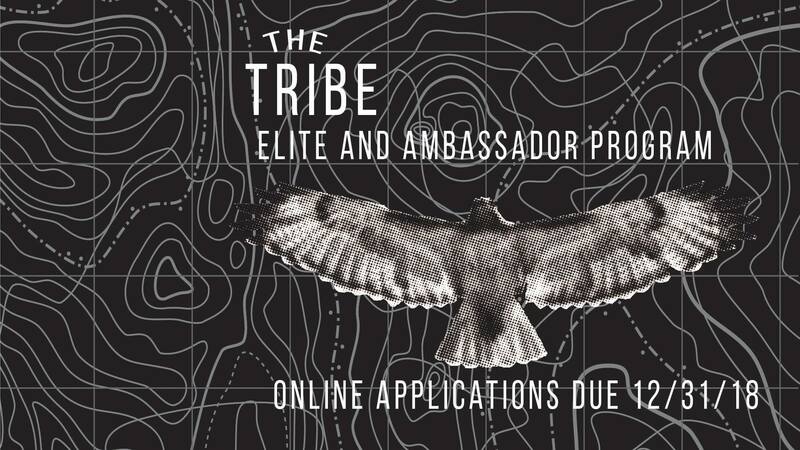 THE TRIBE – Elite & Ambassador Application Due! December 1: Application Opens ONLINE VIA TICKET LINK. -All accepted tribe members will receive a formal sponsorship contract that must be signed. January 15: Signed Contracts due to Shoes and Brews. ELITES MUST MAKE MANDATORY January 15: Elite MANDATORY meeting at Shoes & Brews. Drinks & Food provided. The Rise of the Runner. Collect HIGH FIVES and PRs. S&B to embark on our 2nd year of THE TRIBE. The TRIBE program consisting of people who cheer hard, give high fives, find success in others and share their passion for Shoes & Brews. First we have our Elite Team. The S&B ELITE Racing Team is open to high caliber competitive amateur athletes that are consistently top age group and overall finishers. Athletes who participate on the elite team will have qualifying time standards. These athletes are influential and are consistent in supporting Shoes and Brews events and volunteer opportunities. Race team members represent S&B with pride and RUN WILD regularly. • Access to paid race entries when available. • EXCLUSIVE Elite Team Race Kit (not sold in store):including: singlet, short sleeve top, long sleeve top, shorts. Tribe 2019 hat. • This year’s team will be powered by Saucony. We will provide 1 pair of trainers and 1 pair of racing flats of your choice from Saucony’s impressive lineup. • 30% discount at Shoes and Brews on all other purchases! • NUUN Sponsorship – 4 packs of NUUN tubes given out 4 times a year. • Access to team brand partner discounts when available. • Team gatherings / potlucks at the store! • “Shift Beer” Bring in your bib after a race and receive your shift beer in an employee mug. One-of-a-kind, hand blown glass by local artist Angelo Ambrosia. • New this year: Are you interested in becoming one of our elite leads? Setting up events, motivation, extra shoes and benefits, make sure you input for it in the application. • Participate in at least 8 races throughout the year. • Meet time standards. *Listed at the bottom. • Provide short bio and photo for our website and promo purposes. We can help with photo at first team meeting as well. • Participate in the S&B SOCIAL run club and S&B sponsored events when possible. At least one of the two races hosted each year. • Wear S&B gear at events. • Help lead and assist in 4-6 Thursday night SOCIAL runs throughout the year. Greeting runners, helping tech reps, talking about course/social run info, running with anyone who is new to the Thursday night SOCIAL run, etc etc. Drink a celebratory shift beer after the run! • Volunteer for at least 4 Shoes and Brews events. This can be a races, brew fests, community service projects, etc. • Purchase training gear, nutrition and shoes from Shoes and Brews. We are looking for people with passion. Maybe you’re not the fastest runner – maybe you don’t even consider yourself a runner – maybe you’re a beer aficionado. . . . . . the biggest question we have for our Ambassador team applicants is do you have passion and do you give back to our community? Do you share a passion with others regarding the spirit of Shoes & Brews? The S&B Legendary Hustle Ambassador team will serve as our rep team out in the wild. Whether that is at a race, at a brew fest or at a community volunteering activity. The Ambassadors are the essence of Shoes & Brews. They understand the passion behind our brand and want to share our community with the world. It’s not about being the best at running, or drinking, it’s about being a part of our S&B family and wanting to share what we are doing with others. It’s about creating friends and conversations. It’s about cheering to all the victories in our lives. Tribe Ambassadors represent S&B with pride and RUN WILD or DRINK BEER regularly! • Complimentary Ambassador T-Shirt and hat. • 1 time shoe purchase of 20% off wholesale on a pair of Saucony shoes. • Nuun Singles available whenever you drop by the store and Nuun water bottle. • Access to race and brew fest entries when available. • 15% off all other retail purchases at S&B throughout the year. • Team potlucks at the store! • “Shift Beer” Bring in your bib after a race or volunteer event, and receive your shift beer in an employee mug. One-of-a-kind, hand blown glass by local artist Angelo Ambrosia. • Participate in at least 6 races/events throughout the year. • Volunteer for at least 2 Shoes and Brews event. This can be race, brew fest or other. • Participate in the S&B social run club and S&B sponsored events when possible. Be an ambassador at social runs, helping greet people, explain social run, run or walk with them if it’s their first time. • Tag Shoes and Brews Facebook/Social Media (2 posts per month). • Volunteer with our community service projects via S&B. • If you lean toward the ‘brews’ side of our ambassador team – volunteer at 1 brew fest, pouring S&B beer during the year. Could be onsite at S&B or off site at brew fest within Longmont. • Time qualifications are below for S&B Elite Race Team. • ******Are you an Ultra runner? Do you times that do not fall within these standards but you feel passionate about being on the elite team? Our team is more about passion than about time. You let us know in your online application why you deserve to be on the Elite team and you will be considered.